You are here: Home » Sunday Rewind: No Fish Fry Here! Sunday Rewind: No Fish Fry Here! I live in a suburb of Cleveland, Ohio (USA). which is a city of immigrants. Today’s immigrants are often from Eastern Europe and Latin America, but the city really built its population with immigrants from Italy, Ireland and Poland. One effect of those old time immigrants was the establishment of many catholic churches. While the population of Cleveland has diminished, and church attendance is down, there are still quite a few that are still running. Every Lenten season, all of the churches and many local restaurants advertize their Fish Fry. Generally for $10 you get a fried fish fillet, a pierogi or two, vegetable, small salad, a cup of punch or coffee and possibly a dessert. While there may be minor variations, it is pretty much the same. The local Methodist church takes a slightly different tack by baking their fish. Touting the healthier aspects of the baked fish may not draw many new people, but they still pack them in. 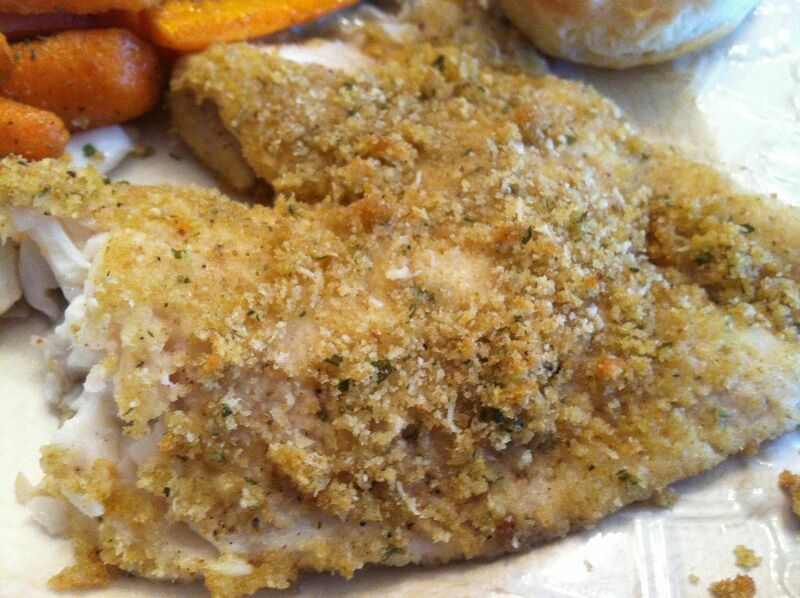 This recipe also gives you the healthier version by baking the breaded fish. A nice flaky fish works great in this. Season your fish before breading. This seasoning will flavor the whole fish. 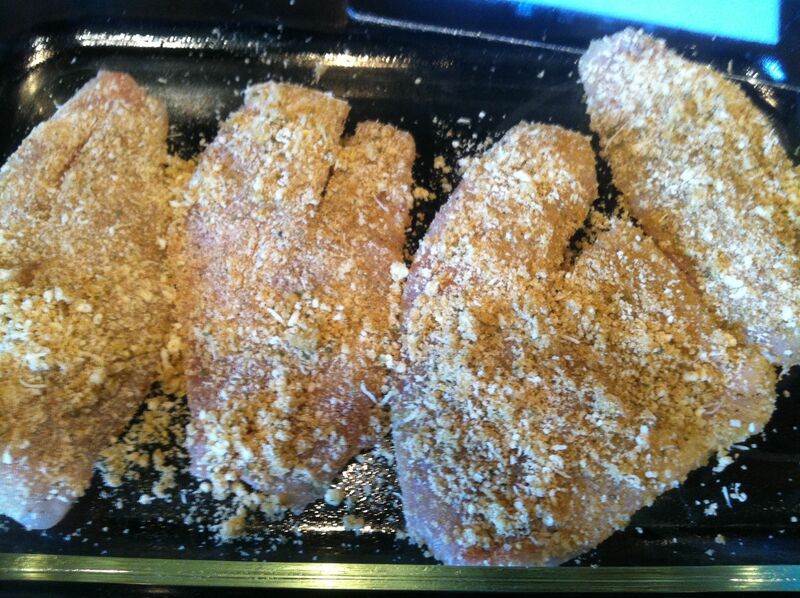 Preheat oven to 400° Salt and pepper the fish to taste, and sprinkle the garlic powder on the fillets. On a dinner plate, mix the cheese and bread crumbs together. In a little saucepan, melt butter and olive oil together. Dip fish in the butter/oil mixture, then dredge with the bread crumb mixture. Place in a shallow baking pan. 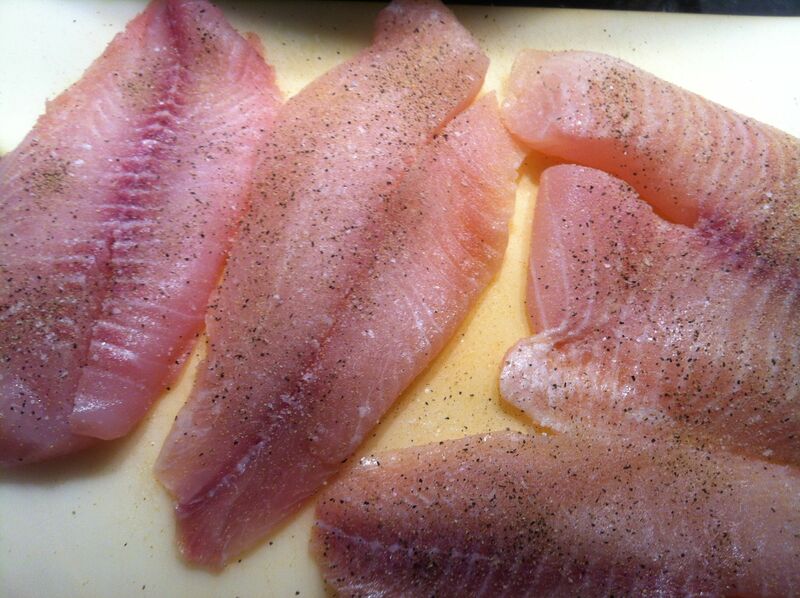 Bake for about 10-15 minutes or until fish flakes easily when tested with a fork. 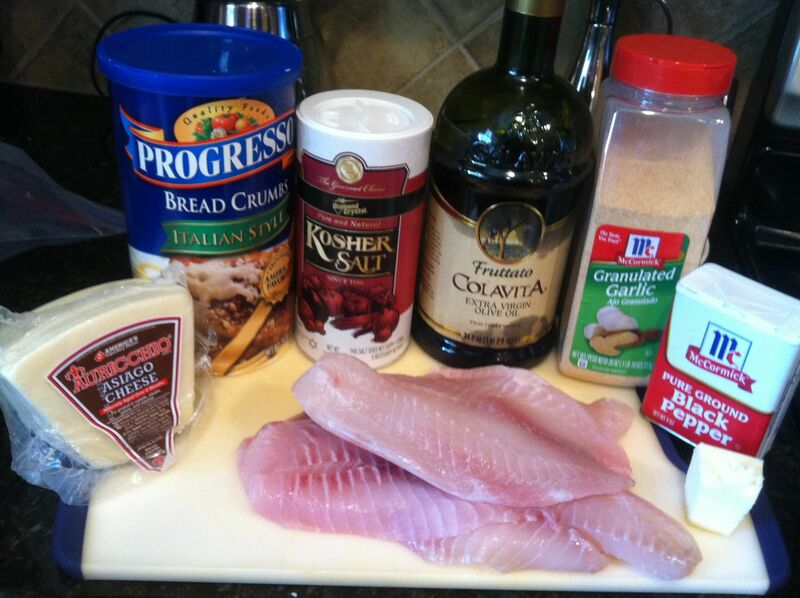 Cooking time will vary, depending on the thickness of your fish.